Weddings can be a massive expense, and to avoid starting married live in debt you should take a hard look at your income and savings and set yourself a realistic budget. 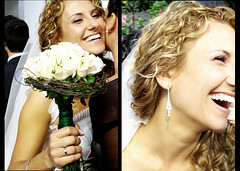 You can plan wonderful weddings on as little as $2,000, it just takes a little time and effort, and a bit of imagination. · Guest List - Firstly, when you are planning a budget wedding you need to be ruthless with the guest list. The more guests you invite, the more the costs will escalate. Invite close family members and friends only, and explain to those people who may be disappointed at not receiving an invite that you are just having a small, intimate wedding. With a smaller guest list you will be able to book a smaller venue, which will save you some money. · Ceremony - Civil ceremonies are generally cheaper, but if you request that the registrar comes to a venue you have chosen, they may charge you extra. Get married in the registrar's official rooms to keep ceremony costs down, which are usually well-decorated and perfectly suitable for smaller guest parties of up to 30 people. · Reception Venue - Look at local hotels and halls for your reception to cut down on travelling costs. Pick smaller, more intimate venues that will be cheaper to hire out. This might also mean you could spend a bit more on decorations and flowers for the room. Instead of having an open bar, arrange with the venue to have a glass of bucks fizz set out ready for when everyone arrives for the first toast, and then let people order and pay for their own drinks from then on. · Food - A buffet is the cheapest way to feed everyone, and if you have a small wedding party you may want to provide a home cooked buffet with the help of a few friends or relatives. Remember people don't need anything fancy, but they will expect tasty, generous food. · Outfits - Just pick outfits for the bride and groom and don't take on the expense of providing the main wedding party with matching outfits. Many of the main high street shops sell a good range off-the-rack wedding dresses for as little as $100, so spend some time shopping around and you should find one that suits you. If you are happy buying second hand dresses, you can find some amazing bargains on eBay and other online auction sites. Choose your approximate size, and then seek the services of a seamstress to make any necessary adjustments. Buying wedding dresses from bridal shops can be very expensive, and you may find the cheaper dresses (still not that cheap!) are very plain, and not as pretty as the high street options. For the groom, there are plenty of high street shops that sell suits, so you should be able to find something very smart and well fitted for around $100-200. · Wedding Transport - instead of hiring a fancy car and chauffeur, think whether any of your friends or relatives have a particularly nice car, and ask if you could borrow their services for the day to drive you to the wedding. · Honeymoon - Honeymoons should be special, but try not to get yourself into debt by booking a honeymoon you can't really afford. You should never book your honeymoon on a credit card - it could take you literally years to pay it off. Look around travel agents, holiday websites and newspapers for deals. Don't forget to budget spending money too, and some people find it better to book all-inclusive honeymoons, so they don't have to worry about affording food and drink whilst they are away. So many people enjoy the soothing effects of tea. Now you can give that gift to your guests with this delusions blend of black tea. The Wedding Tea Collection is made from robust black tea leaves and is sealed in a white foil envelope (2.5""w x 3""h) that locks in the rich flavor and freshness. Personalize each package with the bride and groom's names and the date of their joyous day. Because the tea bags are personalized there is a minimum order of 60 bags. Enter the names and wedding dates in the fields provided. 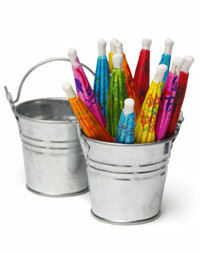 Find moe low cost and unusual wedding favors - bridesmaid gifts - bridal shower favors at My Wedding Favors.com. Have the wedding of your dreams without spending a fortune! The guide from this site http://www.completeweddingplan.com/ will teach you exactly what to do, where to go and who to talk with to get the best prices! You also get 7 more wedding ebooks for FREE, so it is a no-brainer!